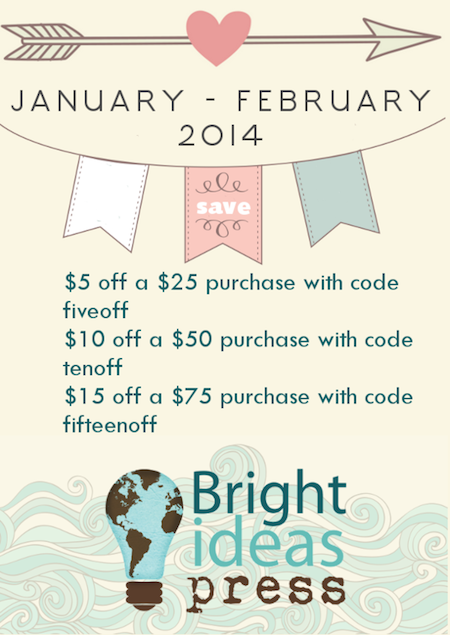 New Coupon Codes for Bright Ideas Press, Teach Them Diligently, and Preschoolers and Peace! Bright Ideas Press has some great deals this month! Our favorites? The Mystery of History, Christian Kids Explore Science, and A Young Scholar's Guide to Composers. You can see my helpful posts on organizing The Mystery of History here. I've done the organizing for you, so breathe! If you missed the Early Bird price for the Teach Them Diligently Conferences, you can still get an extra $8 off this week only. 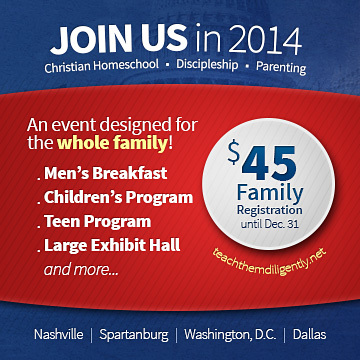 I'll be speaking in Nashville and Dallas and would love to see you there! I just love the gospel heart of the beautiful people who put this conference on every year. 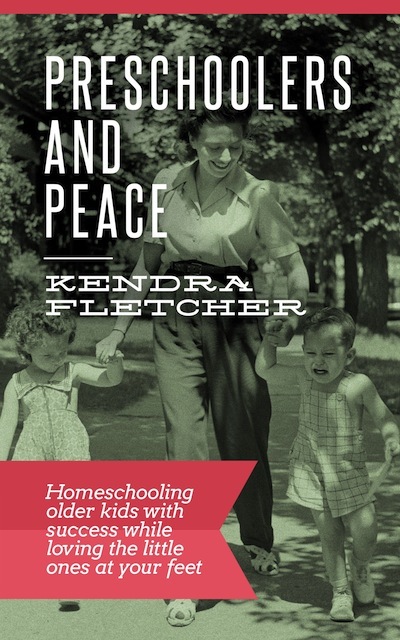 Grab yourself a copy of my Preschoolers and Peace book this month for just .99! Use coupon code 2014, good until midnight, January 31st. The coupon is only good on the pdf version, but you can still get the Kindle version for just 3.99.